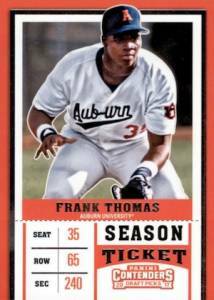 Getting back to it after a season away, 2017 Panini Contenders Draft Picks Baseball expands the collegiate lineup and changes to a hit-per-pack format. 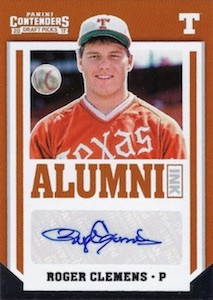 In total, each hobby box delivers six autographs and one parallel to go along with plenty of base and insert cards. 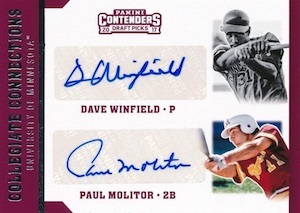 Heavily centered around the Ticket line, the 2017 Panini Contenders Draft Picks Baseball checklist features 25 Season Ticket cards, which act as the true base. These also have new parallels like Diamond Ticket (#/15), Building Blocks Ticket (#/10) and Fame Ticket (#/5), plus the customary Cracked Ice Ticket versions. 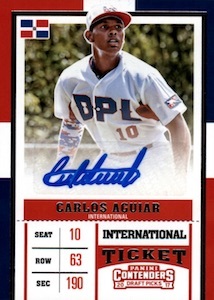 Moving from there are Draft Ticket autographs for the recent draftees, International Ticket autographs for the foreign prospects, and Prospect Ticket autographs for all the other young stars waiting in the wings. 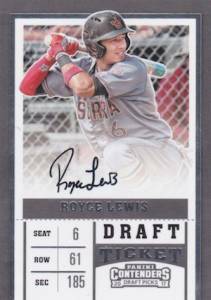 Debuting in 2017 are the RPS Draft Ticket autographs with on-card signatures for top options like Austin Beck, Brendan McKay and others. 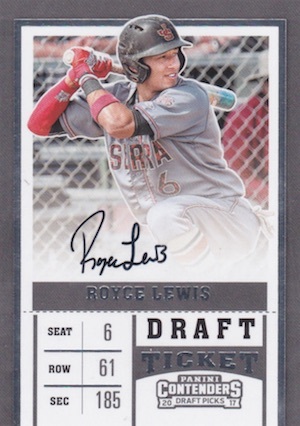 While the Ticket offerings are always a key selling point, they are not the only signed inserts in 2017 Panini Contenders Draft Picks Baseball. 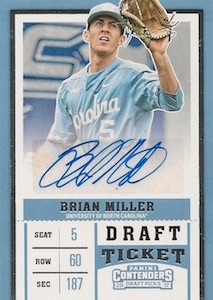 Other choices include School Colors autographs for the freshly drafted players, and Collegiate Connections signatures that put two teammates on one card. Shop available 2017 Panini Contenders Draft Picks autographs on eBay. PARALLEL CARDS: Draft Ticket #/99, Cracked Ice Ticket #/23, Diamond Ticket #/15, Building Blocks Ticket #/10, Fame Ticket #/5, Championship Ticket 1/1, Printing Plates 1/1. 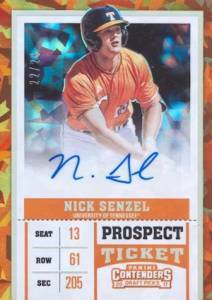 PARALLEL CARDS: Prospect Ticket #/99, Cracked Ice Ticket #/23, Playoff Ticket #/15, Championship Ticket 1/1, Printing Plates 1/1. PARALLEL CARDS: Draft Ticket #/99 (Pache - #/5*), Cracked Ice Ticket #/23, Playoff Ticket #/15 (Pache - #/10*), Championship Ticket 1/1, Printing Plates 1/1. 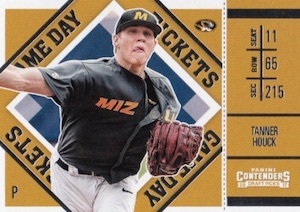 PARALLEL CARDS: Draft Ticket #/99, Cracked Ice Ticket #/23, Playoff Ticket #/15, Championship Ticket 1/1, Printing Plates 1/1. I just broke 6 boxes of this stuff and was impressed to say the least. 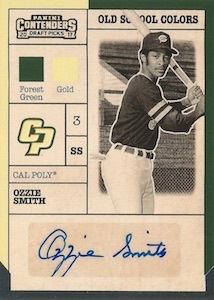 Really love the ticket concept of contenders and all the new parallels like /15 /10 /5 variations. Definitely looking forward to breaking more. 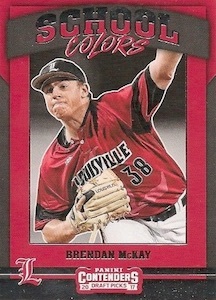 Cards truly look sharp and this is definitely going to be fun for sure! Broke 3 cases of this so far and love it. Great checklist without tons of late round picks. Lots of variations and short prints to hunt for. Best baseball product out right now.